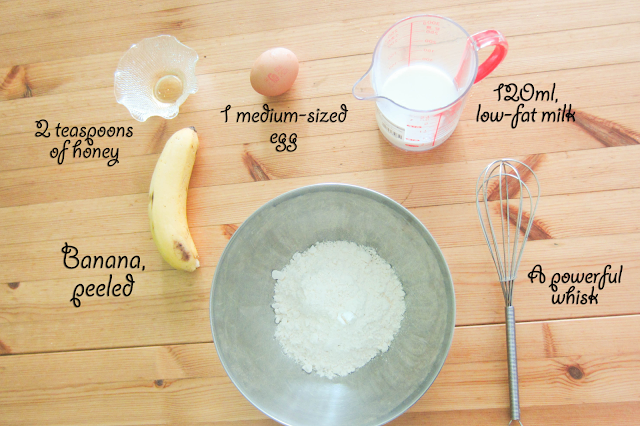 A simple home-made breakfast for my loved ones is something that makes me really happy! so I'm sharing this quick fix with you. 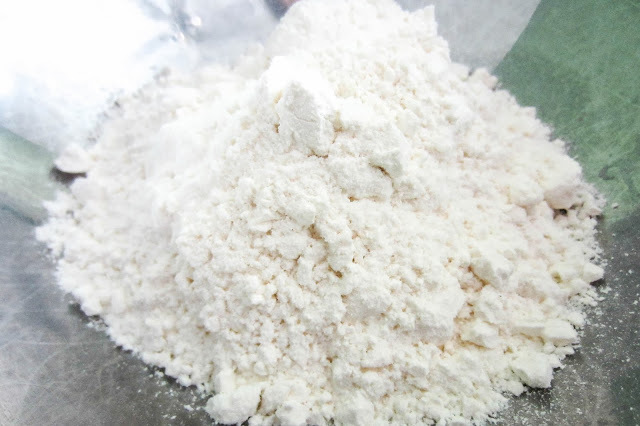 If you think you would do well with some extra fats, you get go for more convenient flours and full-cream milk. This gives you thicker pancakes, similar to that of fast-food outlets. WARNING! It is not advisable to sift the flour as the flour is already fine enough to create fluffy pancakes. 1. 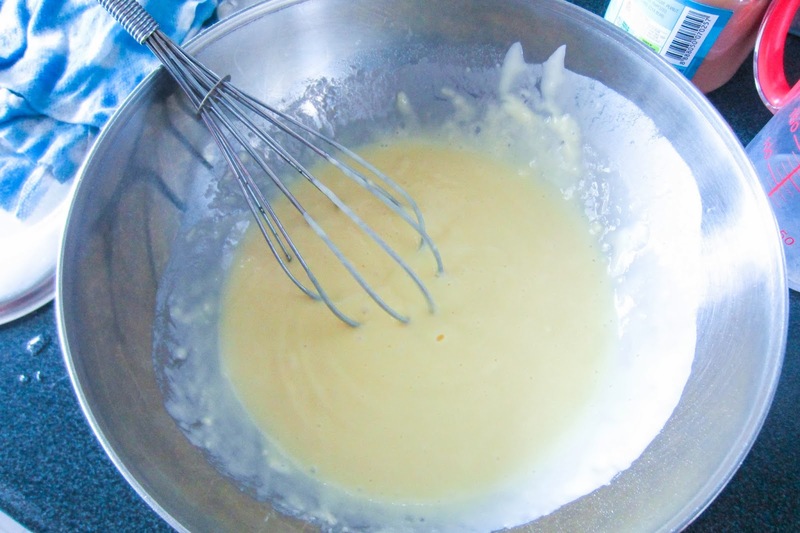 Crack the egg and whisk it together with the milk. 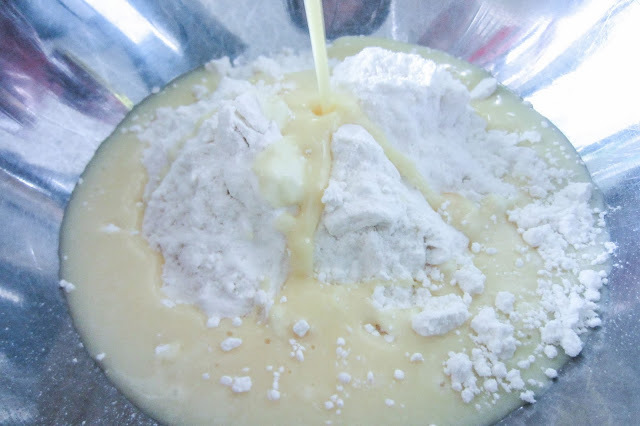 Ensure that they are evenly blended into a fine pale yellow liquid as above. 3. 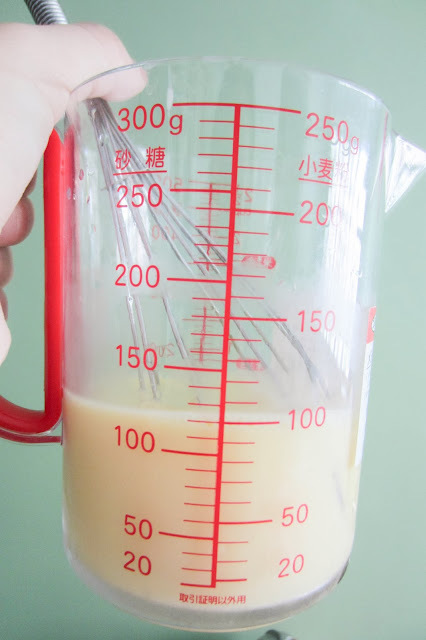 Ensure that there are no bubbles formed when you pour the liquid. If you look closely enough, there are a few bubbles formed in the foreground of the image. This air sacs causes your pancake to be overly puffy and upon reaching the tipping point, your pancake will look too flat. 4. 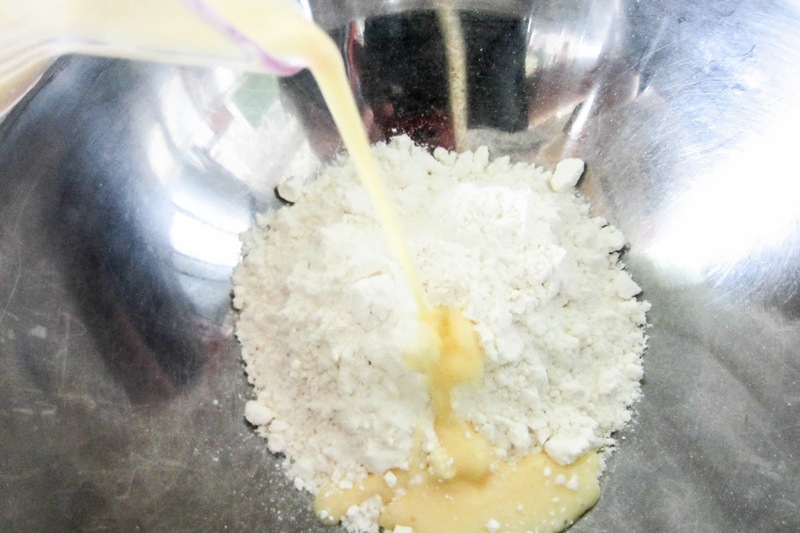 GENTLY* whisk the flour together with the liquid you have poured. Stop only when your mixture looks like a creamy liquid. P.S: I added blueberries into the mixture so as to get fresh, genuine blueberry flavouring. 6. 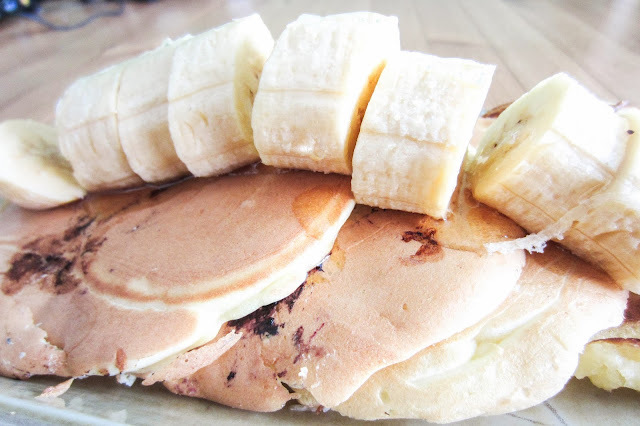 Garnish your pancakes with slices of peeled banana and if you're in for a sweet-treat, pour 2tbsp of honey over it. The bluish-black patches you see were made from the blueberry skin which I have added in. It's really unsightly, but it tasted good (my family agrees, no sympathy points, hehe).